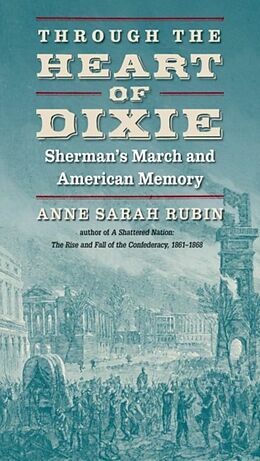 Examines Sherman's March using the memoirs, travel accounts, newspapers, and literature of African Americans, women, Confederate soliders, Union soldiers, and Sherman himself. Sherman's March, cutting a path through Georgia and the Carolinas, is among the most symbolically potent events of the Civil War. In Through the Heart of Dixie, Anne Sarah Rubin uncovers and unpacks stories and myths about the march from a wide variety of sources, including African Americans, women, Union soldiers, Confederates, and even Sherman himself.